Out to sea? Pick up a satphone! Apollo SatCom has everything you need for devices and services for your global satellite communications solution. Stay connected literally no matter where you are on the planet; even in the ocean! With a satphone you can communicate literally no matter where you are on the planet! Since the Iridium Exteme runs on Iridium's network you have a truly global signal meaning you can be anywhere on the planet and can expect to have a good strong signal. The Iridium Extreme also has military grade ruggedness so it can take anything mother nature can throw at it and still continue to perform up to Iridium's highest standards. With more features and accessories than any other satphone including a built-in SOS button, the Iridium Extreme can make calling from anywhere nice and convenient; even from inside a vehicle! 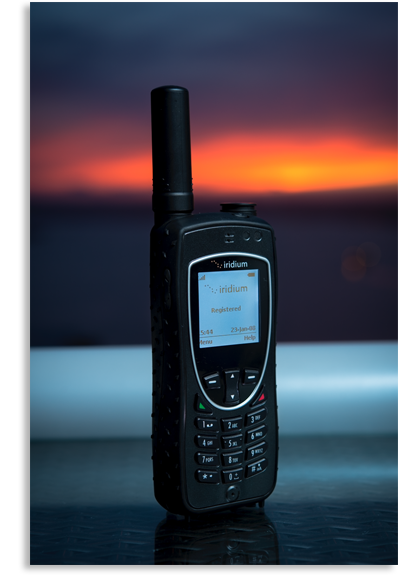 Quality, ruggedness, and reliability in a compact but powerful satphone from Iridium. The Iridium 9555 is built rugged so it can put up with anything mother nature can throw at it and keep on working the way it should, making it handy for any trip into the wild. 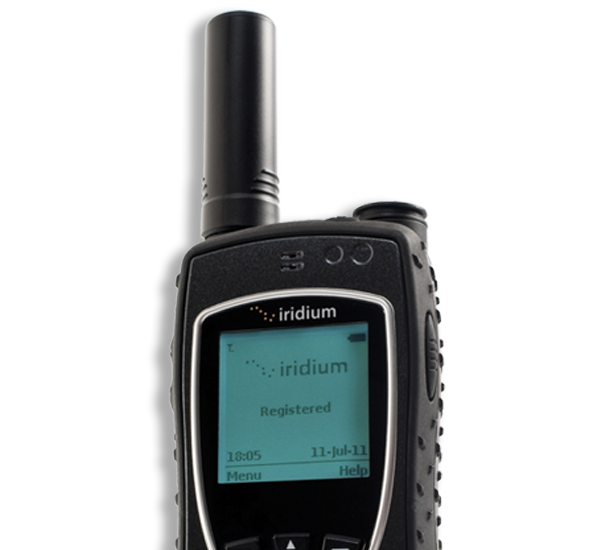 The Iridium 9555 is Iridium's compact but powerful satphone. With a smaller form factor you can fit it easily within any pack or luggage and still have plenty of room for everything else for your trip. The Iridium 9555 has innovative features such as an integrated speakerphone, improved SMS, and email messaging capabilities. It continues the evolution of satphones by providing convenience. Since it operates on Iridium's network, which is the world's only truly global network, you can literally take it anywhere on the planet and always expect to have a good, strong signal! Iridium's satphone that is built tough and for hands free use helps when communicating on the move in the harshest environments. The small, lightweight Iridium 9505a satphone features a quick access interface and hands-free headset, designed for ease-of-use on the move. It also offers the optional capability to transmit and receive data with an RS232 adapter. Programmed with twenty one language options, the Iridium 9505a is capable of two-way SMS communication.. Manufactured in the US, this handset is ideal for military use and is the only satellite phone available for provisioning on the US Department of Defense Gateway. The Iridium 9505a is water, shock, and dust resistant and can handle the harshest conditions. No matter where in the world you need to be it will keep you connected. No other network in the world offers customers secure communication capability from anywhere on the planet. Only the Iridium network commands real global coverage.